Striker who was a member of Germany's 2014 World Cup Championship team and became the all-time leading scorer in World Cup history with his 16th goal in the 2014 semifinals against Brazil. 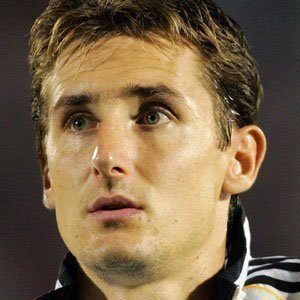 He was twice named to the World Cup All-Star team and became the first player to score at least four goals in three separate World Cup tournaments. He began his professional career with SG Blaubach-Diedelkopf in 1997. He was the Bundesliga's top goalscorer with 25 goals in 2006 and he was named German Footballer of the Year in 2006. 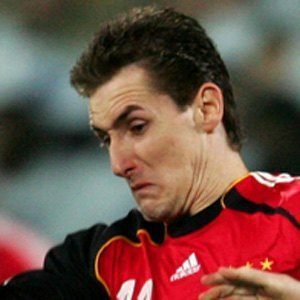 He has two children with his wife Sylwia Klose, whom he married in 2004. 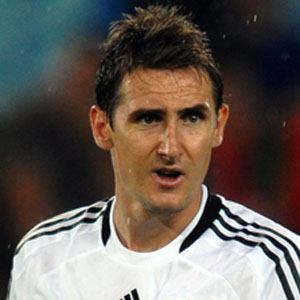 He was joined by Thomas Muller on the German national team in 2010.